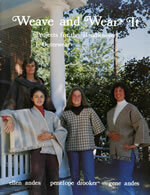 In the 1970's we were very active writing craft books. We wrote two for VanNostrand-Reinhold, "Practical Macrame" (1971), and "Far Beyond the Fringe" (1973). 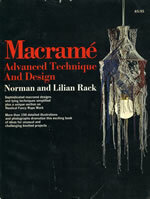 We also ghost wrote four books for Doubleday Company: "Art and Stained Glass" (1973) by Claude Lips, "Macrame: Advanced Technique and Design" (1972) by Norman and Lilian Rack (featuring Norman's splendid nautical style ropework), and "Leathercraft: Creative Technique and Design" (1972) and "Creative Jewelery Making" (1975) both by Larry Hemard. We did the writing, the illustrations, and some of the photographs for all these, but the authors supplied the knowledge and the examples. We really learned a great deal writing the books. 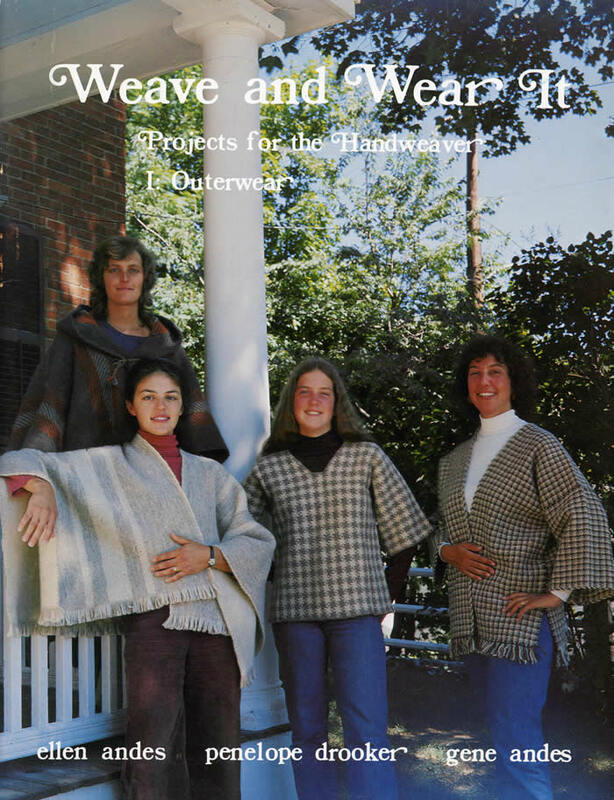 Later, we self-published two small booklets of weaving projects, the "Weave and Wear It" series co-written with Penelope Drooker, a friend and nearby neighbor. 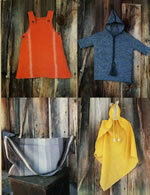 The first was "Infant and Toddler Wear" and the second was "Outerwear". 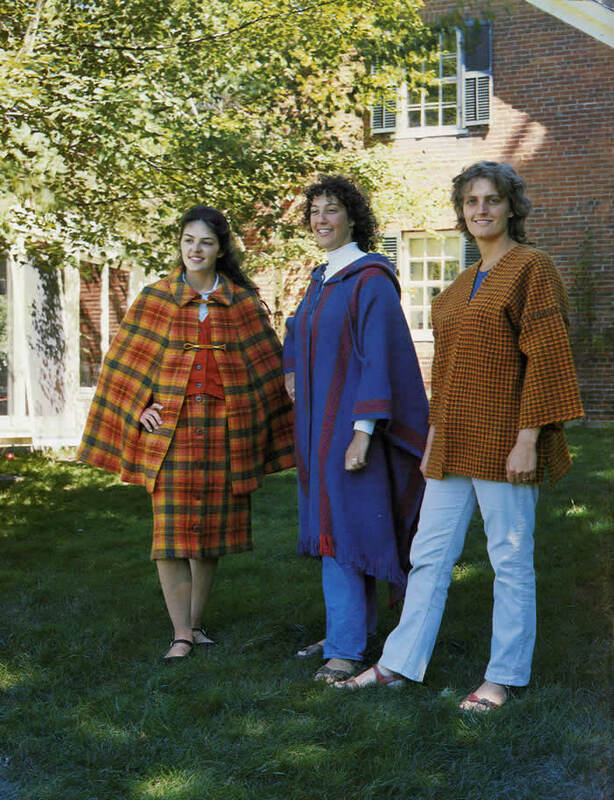 We got started writing at the suggestion of Jim Ward, a fellow we met in New Orleans when his wife ordered one of our custom macrame bikinis from the Sun Shop on Maple Street. The Sun Shop, at last check, is still there, still run by Chick Fortner, still featuring an eclectic mix of native crafts from around the word. Chick was a friend in those days and sold our macrame. Jim told us to write a book and told us how to do it. He was a photographer and poet and helped us put together a proposal to send to several publishers. Jim's wife, Jacqueline, helped us paint our new house so we could have time to work on the proposal. Lynn Franklin took the pictures for us. 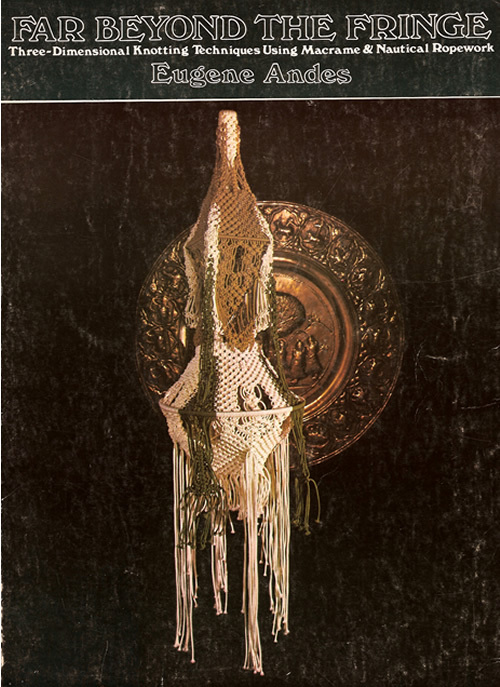 We got a nibble from Van Nostrand, who had published the major macrame book on the market then, by Virginia Harvey. 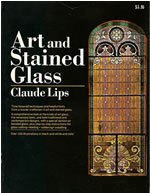 Jean Koefoed, the publisher, took a chance on us, and was greatful, as the first book sold very well. Jim and Jacquiline left the states to live in her native France, as many in that time left the U.S. Jim had been the official Boeing historian for the Saturn V rocket project in Slidell, Louisiana, and was quite disappointed to find that the project was actually a military one, not an effort to further the peaceful exploration of space. The last we heard, they were settled in rural France. Lynn Franklin with his wife Patt, moved to Maine shortly before we moved to New Hampshire, and we saw them a few times there before losing touch. Lynn died in a plane crash on Mount Monadnock in the early 1980s. 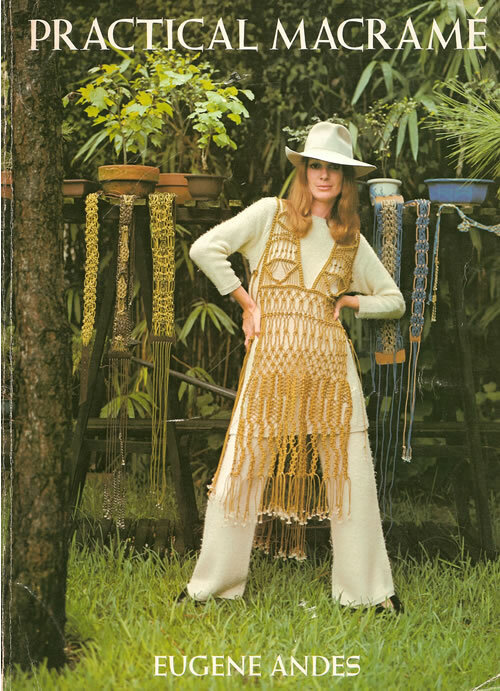 This is the first of the macrame books. 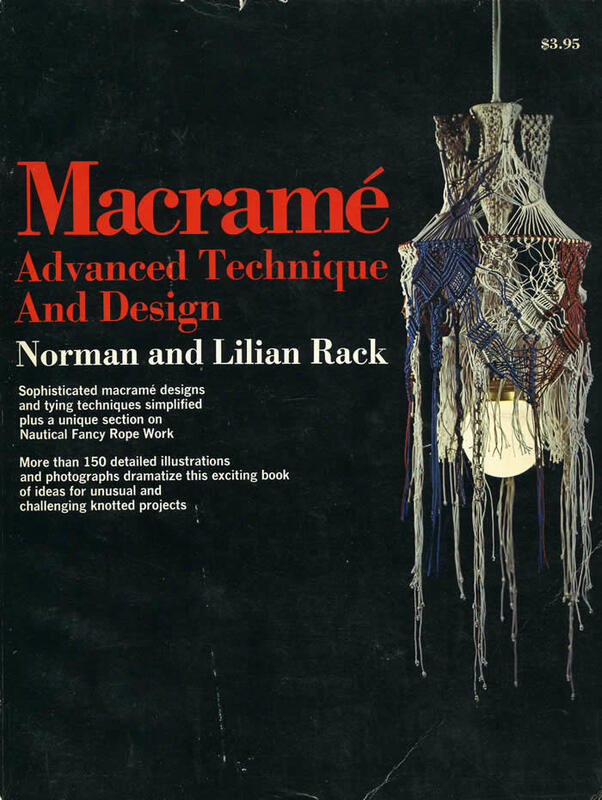 There is more about it on our macrame page. The second book for VNR. We had a wonderful time writing these, and greatly enjoyed our times with Jean Koefoed, a wonderful publisher, one of the last of his breed. This is the first book we "ghost wrote" for Doubleday. This was another of the Doubleday craft series. They were good books, but not something Doubleday knew how to promote, so the print run was small and not repeated. 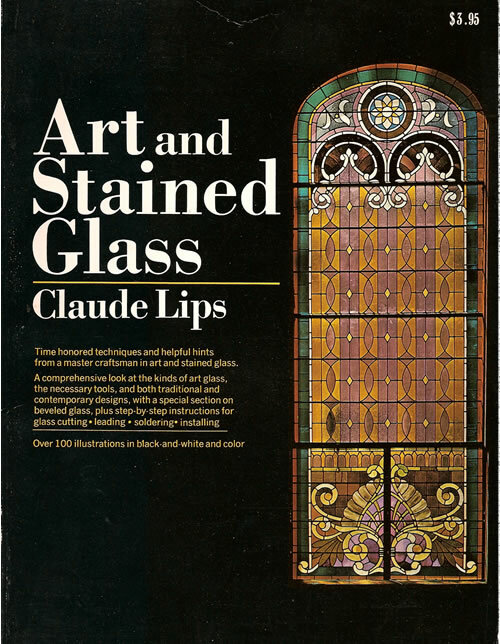 Claude Lips went on to found and run his own Art Glass company, Dietrich-Lips, in New Orleans. The first in a series of small pamphlets we wrote with Penelope Drooker. 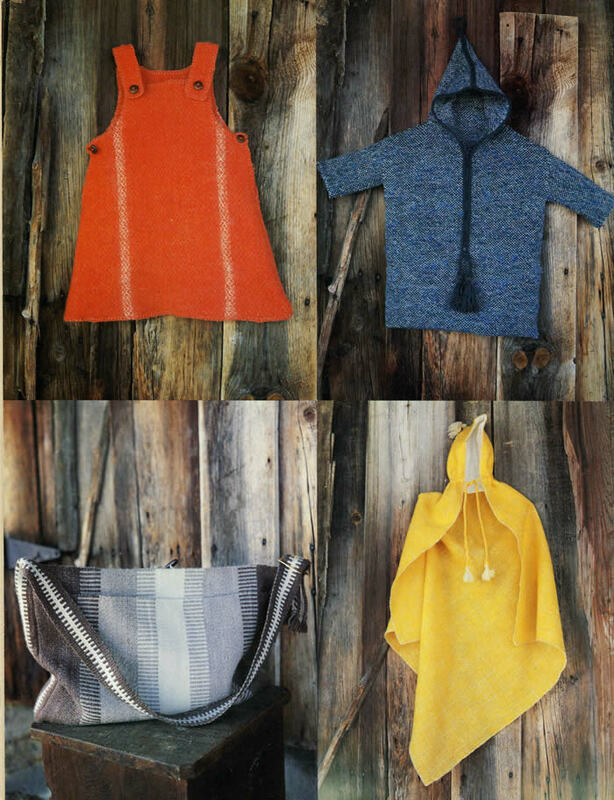 Some very clever patterns, and they sold pretty well for a self-published article. The second. 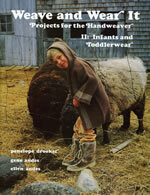 That's Tom on the cover with two of our sheep behind the barn.